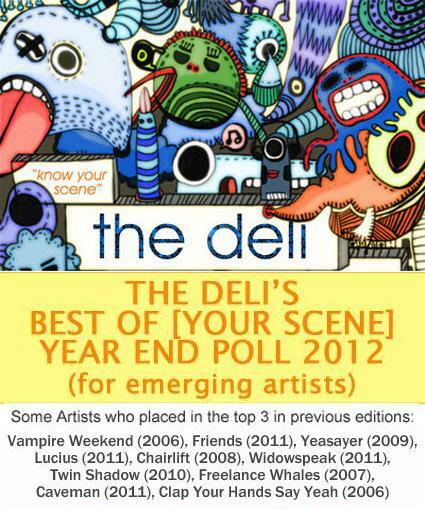 Deli Best of Nashville 2012 - Submission Results! The results are in from the Open Submissions stage for our Nashville Year End Poll for Emerging Artists. All of the submissions were ranked by Deli Editors from other scenes and the list of acts that have advanced to our Readers’/Fans’ Poll phase are below. We will also be releasing the list of nominees chosen by our local "scene expert" jurors very soon. We would like to thank all of the talented artists who submitted. 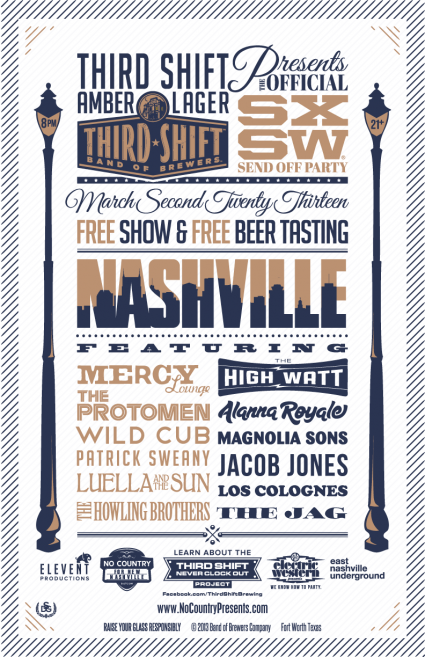 It was our largest Open Submissions pool yet, and certainly a testament to how many rad acts we have in Nashville. Andrew Leahey & the Homestead (Alt Country), Angel Snow (Indie Folk), Digital Jihad (Electronic), Greg Owens and the Whiskey Weather (Bluegrass), Lauren Rantala (Lounge Pop), Lines In the Sky (Prog Rock), Samantha Harlow (Country), The JAG (Psych Rock), The Last Royals (Indie Pop). Jurors: Gracie Gutman (Deli SF), Ben Toledo (Deli Portland) Paolo De Gregorio (Deli NYC).